Factorsixty helps businesses make money by making their products, software, and websites usable according to the ISO9241 Usability Standard. Unlike most service providers, we are certified in Usability Engineering according to ISO 9241 and we master the widest range of usability methods. Our large spectrum of knowledge and experience allows us to choose the methods that are best for each specific client and case, thus giving you the highest return on your usability investment. We work closely with your managers, product developers, and support team, bringing in knowledge and efficiency that will continue long after our work is done. 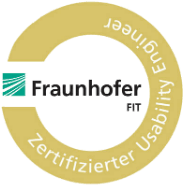 We are certified as Usability Engineers by the Fraunhofer FIT Institute, one of the leading Usability training and certification agencies in Germany. The Fraunhofer certification is famous for its strict criteria and high professional standards. The word “Usability” has been used and abused to mean different things to different people. At Factorsixty we work strictly according to ISO 9241, the world standard on Usability. No matter whether you use SCRUM, Agile, or traditional management approaches, we know them and will fit seamlessly. 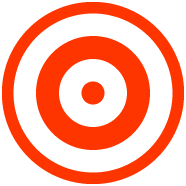 We are also experts at making your online marketing and UX strategies work great together.